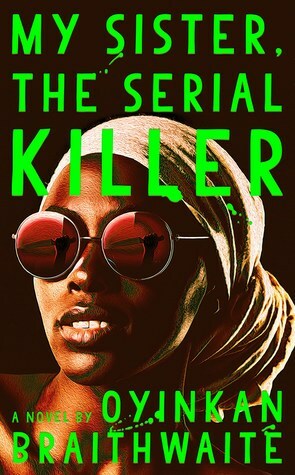 My Sister, the Serial Killer by Oyinkan Braithwaite is a 2018 Doubleday Books publication. That provocative title and amazing cover art certainly piques one's curiosity. Noticing all the positive reactions the book received, I just had to see for myself if it was worth all the kudos. Well, I have to say, this is my kind of book!! Seriously, I really, really, really love satire and dark humor. I do understand it is often an acquired taste, but it takes a special kind of creativity and balance to pull it off. Dark humor and satire are often very subtle and if you aren’t in on the joke, it can sail right over your head. It requires a little more effort, from the reader, too, on occasion, and that is the case with this book. Family is supposed to help one another out, right? Set in Nigeria, amid a corrupt system of law and order, Korede is forever coming to the aid of her beautiful, but kooky, younger sister, Ayoola, who has a bad habit of killing her boyfriends. She always claims self-defense, but she’s never injured, and her conscience never seems to suffer. 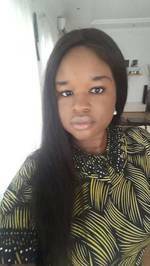 Korede, is a borderline, antisocial nurse, more comfortable around her comatose patient, to whom she bears her soul, than with anyone else. She has a crush on Tade, a doctor she works closely with. However, when Ayoola shows up at the hospital to visit her sister, Tade is immediately smitten with her. So, not only is Korede hurt emotionally, with her sister’s history with men to consider, this development is quite troubling. Deep down, Korede is angry, jealous of her beautiful, favored sister, but she always comes to her rescue. Ayoola is self-absorbed, flaunting her beauty, and appears not to notice the stress and strain she causes Korede. Both sisters are flawed, with abominable character traits, but at the same time, they both managed to, inconceivably, elicit sympathy from me. The author creates a unique brand of suspense, an ever- present sense of dread, while toying with the readers' emotions. The social commentary could be at the core of the story, perhaps playing a key role in the sisters’ pathos. There’s much to ponder on in this amazing debut novel. Kordede’s stoic inner thoughts stole the show for me, though. The story is meant to be dark, meant to be taken seriously, but so sardonic, it is morbidly funny at times. But, one thing is for certain, this author has done an incredible job creating these wickedly entertaining characters, adding rich layers to the story, while keeping the prose pointed and sharp, even minimal, and still manages to add the rarity of humor into the mix with perfect balance and poise. I simply could not tear my eyes off the pages. It is also a rarity for me to say I liked a book better than I thought I would, but this one caught me completely off guard.